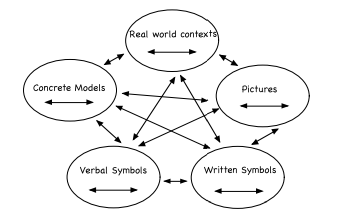 Should add "if your unit is" after "1/2"
"Children learn by having opportunities to explore ideas in these different ways and by making connections or translations between the different representations. Thinking about how we can encourage and foster those connections seems very worthwhile. I also liked the style of their assessment questions, where they ask the students to show how they would do a problem on the number line or using decimal boards or grids. "that of all the manipulatives available for teaching about fractions, fraction circles are the most effective for building mental images for fractions." 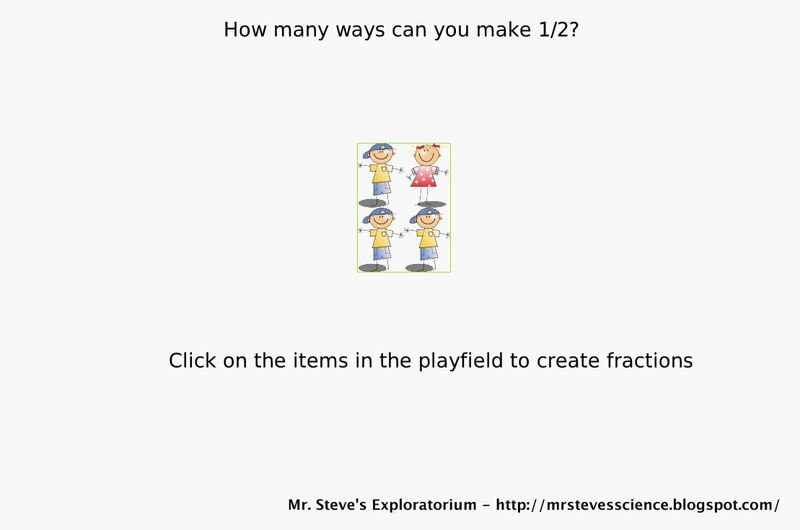 Today I worked on an are model for multiplying Fractions in Etoys. I created two transparent playfields one with gridding set to 30@300 the other set to 300@30. Then placed and resized rectangles within the playfield. The created a simple "Multiply" script to move the one playfield to the left (I changed the forward direction to move left, try it, it won't rotate, there is another method, like most things ;) until it overlapped the first playfield. I have been spending too much time in Etoys trying to do things, rather than simply think about what I want to do, then figure out how to realize it in Etoys. I hope to spend the next few days looking at other manipulatives and thinking about how to design my own, so that they are simple and fun for teachers and kids. 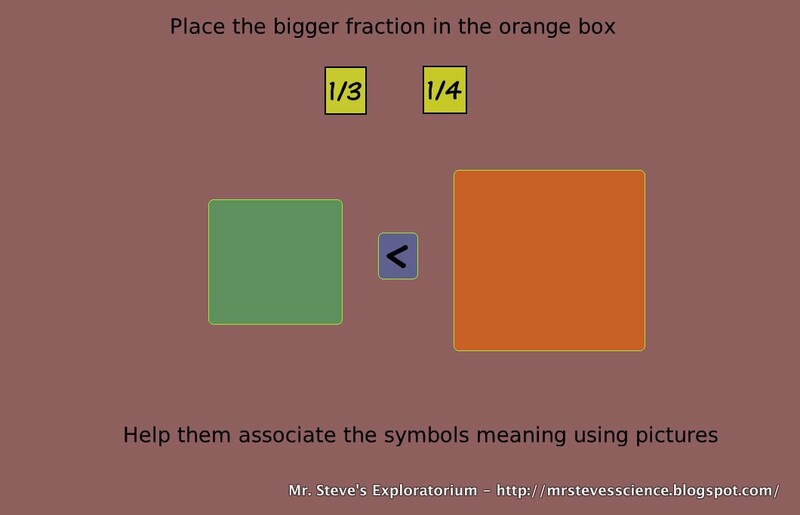 I also need to think more about fractions and the operations using fractions. If I find time I will head to Rutgers to check out the Robert B. Davis archives. Check out Numbaland its Battleship Numbaline is a great program that reminds me a lot of the early Plato program Dart (Designed by Sharon Dugdale and David Kibbey 1975) as part of a program at the University of Illinois. Plato was also used as part of the Madison Project. It is discussed in chapter 3 of Cynthia Solomon's excellent book "Computer Environments for Children"
Today we are lucky to have a guest Fraction from Randy Caton. Randy has taught introductory and advanced physics courses and laboratories to classes ranging from 5 to 700 students and has used Peer Instruction and Just-In-Time-Teaching for 30 years. He has directed several science education programs for teachers and students from 1986 to 2008. He is currently retired and lives in northern Minnesota. Randy has used Etoys to develop web-based activities for NASA programs and physics courses. Randy created a wonderful polygon challenge where kids modify a script and the number of vertices in a polygon to create and discover beautiful things. Part of what I like about Randy's approach when designing lessons (at least what I can tell from seeing some of them), is that he has the kids discuss the ideas, predict what is going to happen, try it, then record what they observe. Our goal is to come up with a set of materials so that teachers, parents and kids can use these activities to explore and learn. One of the goals for the materials will be that "anyone" can use them, to run these activities and the fact that you are not a mathematician (Maria) or a rocket scientist (Randy worked with them) will not hinder you from using and getting a lot out of the materials and lessons. So I asked the question, how would you create a program to "cut" the polygon in half so you have two polygons and can separate them (similar to Slice It!). One person asked can we use the slope (she had been studying slope). I responded its natural to use what you just learned and what you know and its wonderful when it works. Can anyone think of another way? "You fill the square with little turtles until it all fills up. Then you count how many are on each side to get the percent." "So lets say ou have a tool that measures color and a tool that measures distance. then you merge those tools and make a script that sees two colos and measures the distance between them and from that you can say, what if I do it to measure the whol box and have that tool tell you the area of something. I then asked: How would you program that? "Take two basic tools and build a script that uses both of them then build a script that uses two other basic tools, then combine them and keep going so you have like a ladder to the ultimate goal." Now, I ask myself, what basic tools could I provide that kids could use to build a "slicer" script. Dr. Geo and Geogebra come to mind (thanks Karl for the idea). I like the idea of Dr. Geo (not only because a version is embedded in Etoys, but it allows you to script). FYI, I already have figured out a way to do this (I think) just have not had the time to program it. 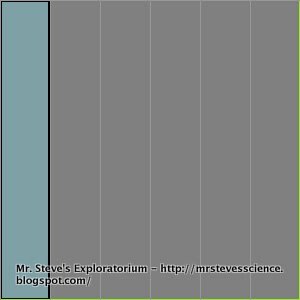 This post was inspired by a paper simply titled Fractions on the site. 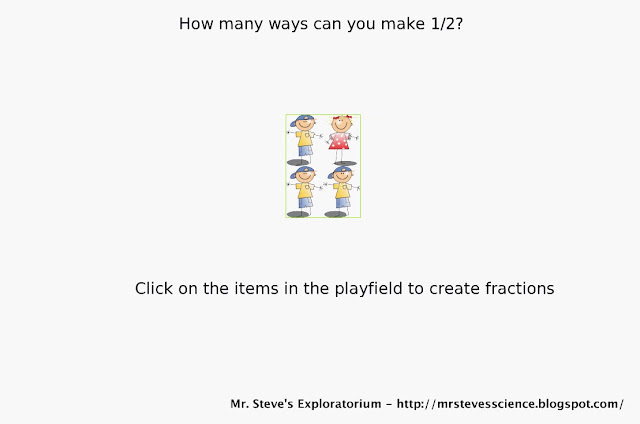 embedding pictures of fractions kids find in the "wild"
This is a first draft of a tool to let teachers and students create fractions and fraction problems by "cutting" an object. 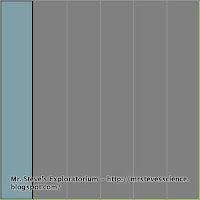 The amazing thing is it only took 11 scripting tiles in Etoys (could have got it down to 7, but went for readability). The first page lets you make only 1 cut, the second lets you make multiple cuts. I had to put a playfield on top of the "unit" (aka rectangle, which is in a gridded playfield) so that I could allow you to "clear the cuts" by simply using the Playfields "remove all" tile from the collections category. With only 1 playfield the remove all would have removed my "unit" as well. As mentioned yesterday I said I would work on the problem using Etoys (the above images are from the that project). The image show notes (using "text box" from the connectors category of the supply bin) about questions I have and some design issues. In doing this I am thinking I may want to switch things around. The study interview started with what is 1/2 + 1/3, but that was to assess understanding, I am thinking I should create a version where the experiences lead to this. "In the case of fractions, the developmental evolution of each concept is important. At first, one probably defines a/b by taking a candy bar, or a pizza, or something else, dividing it into b pieces, and taking a of them. ..."
"When one encounters 'improper fractions,' this meaning fails. One cannot use this meaning to speak of (say) 5/4" We must introduce the concept of unit. 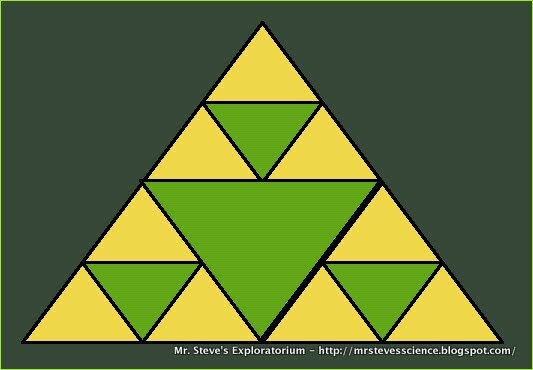 We divide each unit into b equal pieces, and take a of them. Now, with these new definitions, we can easily deal with 5/4, although we shall need two units in order to do it." So one step in our process to "map" is the developmental evolution of each concept (okay its a BIG step, but someone must have done this before). The challenge is to understand where the child is and what questions and experiences you can provide to help them progress. It is unrealistic to expect elementary school teachers, who must teach all subjects, to know let alone be masters of the concepts and maps in all subjects. So, how can you do this if the teacher may not understand certain concepts or the map? Obviously it depends on their models, any mis-conceptions they may have, and other factors. "I want to show you what most people think is a really hard problem: 1/2 + 1/3"
She was stumped and did not know how to solve the problem. Later the interviewer then brought out cuisenaire rods and asked: "If we want to talk about "one half" and "one fourth" which rods do you supposed we want to call "one"? Once she had the physical model she was able to answer "three fourths." She did this rather quickly it seems and without using the rods completely. She had simply identified which rod was "one half" and which was "one fourth" and then "solved the problem just by thinking about it. The concrete model and "enabled her to build up an appropriate representation in her mind". Today I will start working on an Etoys version of the problem, perhaps with a pre and post assessment. So today I decided to do look for and review some research. What I like about this (besides the author) is that it includes a lot of excerpts from interviews with the kids. One thing I like in this report is that it lists "Roadblocks" which, in the kids cases, are what I have seen others call mis-conceptions, but to me seem like "I am applying an existing mental model that has worked fine up and has worked fine up until now and makes sense to me." In the adults cases, they seem to me more political problems. That happens when you have a large group of humans. These also need to be understood and dealt with if you want to engender change. 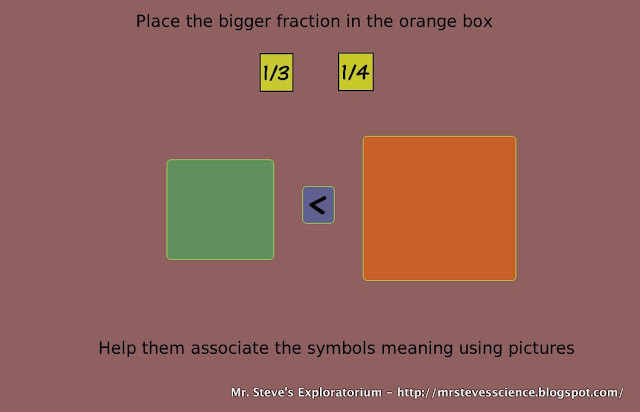 Finally an interesting way for kids to discuss and communicate their ideas about fractions: (thanks to Maria from Natural Math for pointing this one out). 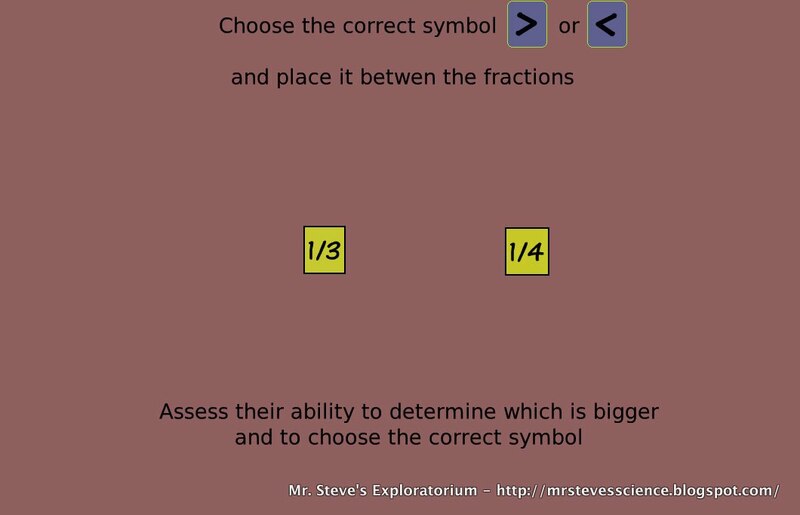 So this Etoy uses a quiz format and shows the relationship between area and multiplication (hopefully in an easy way the kids can discover without being told. We get to fractions when we change units on pages 3 and 4. Also it has free play areas which are virtual Geoboards. One of my goals for this project is to develop a set of playthinks and a set of tools that teachers and kids could use without much special knowledge or programming skill (yet thanks to the beauty of Etoys, they can still program them and "look inside" to figure out for themselves how they are programmed and if they want modify them). Here is the Etoy Area Geo Boards. 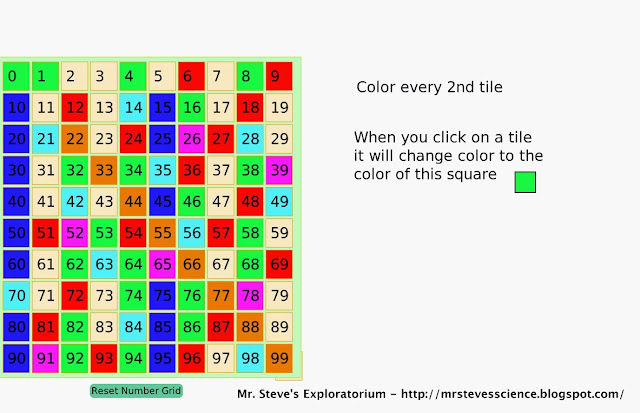 The original version did not when entering fractions, this has been fixed. Hopefully it will be updated soon on the squeakland site. We are taking a break from the Fraction a Day posts so we can bring you "The Brandon Method"
I "colored in" 0 and 1, then asked him what was the first prime #, he said two, I then asked him to color every multiple of 2 (except 2 of course), then asked him what was the next prime #, (he said three) then asked him to color in every multiple of three and repeat. The "Brandon technique" was to change colors each time, so he started with green for multiples of 2, then went to red for multiples of 3, etc. After he got up to 8 I asked him to stop because we were running short on time, and we had a lot of material to cover, but his response was "but I'm having fun, I want to finish". He persevered and stuck with it (a great habit, so why kill it just to pass a test). I told him that was the first time I had seen anyone use that technique and that there may be one right answer, but there are multiple ways to get there and the important thing was to find the ways that worked for him (and understand different routes as well). He was actually having fun doing math (we spent four hours doing nothing but Algebra and I finally had to tell him I was not going to teach any more and he had to go to bed. This from a kid who usually does not like to do a lot of homework and tries to finish as quickly as possible. Another teaching idea that came up was a better way for them to discover interesting things while doing factor trees, but we will save that for another post. Hint: think visually and you can move around parts of trees you already created, which leads from this will take forever (when he was asked to list all the prime factors for numbers up to 75) to an aha moment and a big smile. 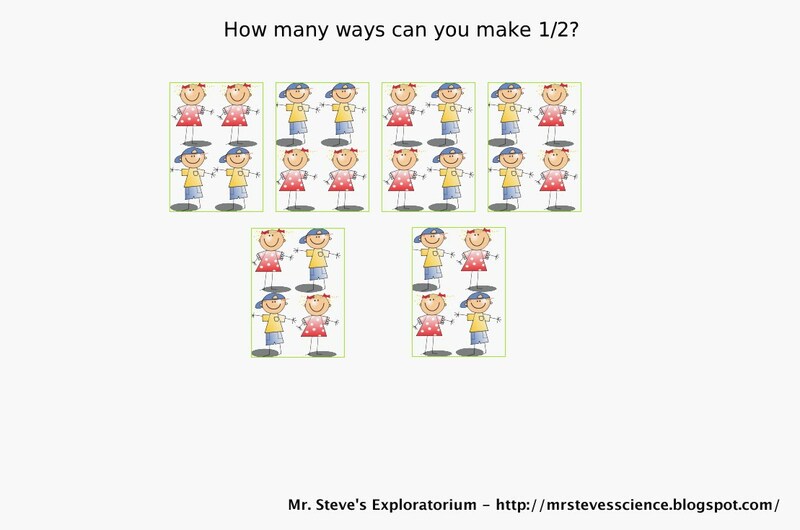 Kids would then create their own 1/2's by clicking on the Boy/Girl to get them to change and if you gave them the fraction tool they could create many more. Looked at using a Player in Etoys, as it is easier to create an interface to select those using a Player variable by simply clicking on them (actually two clicks, one on the player variable and the second click on the object). So today (and actually for a number of days) I have been working on a "Fraction Maker" tool, to help create curriculum and playthinks for kids. I have been going through multiple iterations (a good habit to teach the kids). The user can specify the object to use (in the above case I used a rectangle, but you could use any shape or graphic), the user can specify the # of rows and columns. The object used has information about the color changes (or other changes such as changing graphic) and whether the event occurs on MouseDown or MouseEnter. Hmmm, I think I should move that MouseDown or MouseEnter to the Fraction Object and just ensure each object used to "fill" the fraction has a "toggle" script. When "handing the user a copy of the box, unless I put a "border" (not an etoys border) around the "Fraction Box" it is not obvious how to "pick up" and move it. Ideally you could easily get the halo, but that doesn't work too well as I currently have the size of the playfield set to the size of the fraction box, so the only way to "select it" (get its Halo) is to "shift drag" select, which is easy to teach, but not obvious until you are shown how to do it (hmmm, sounds like I need another Etoys minute). During dinner at a friends birthday party, one of the folks there mentioned that she had dyslexia and had problems with the greater than and less than signs. She also talked about some of the tricks her father taught her to help deal with her dyslexia. Another friend talked about how his son had eye tracking problems and how hard it was to detect. So I started to think about how we could embed various "tests" into lesson plans. For example perhaps you could distinguish if a child understood which fractions are larger and smaller but had problems with the > and < symbols because of dyslexia. 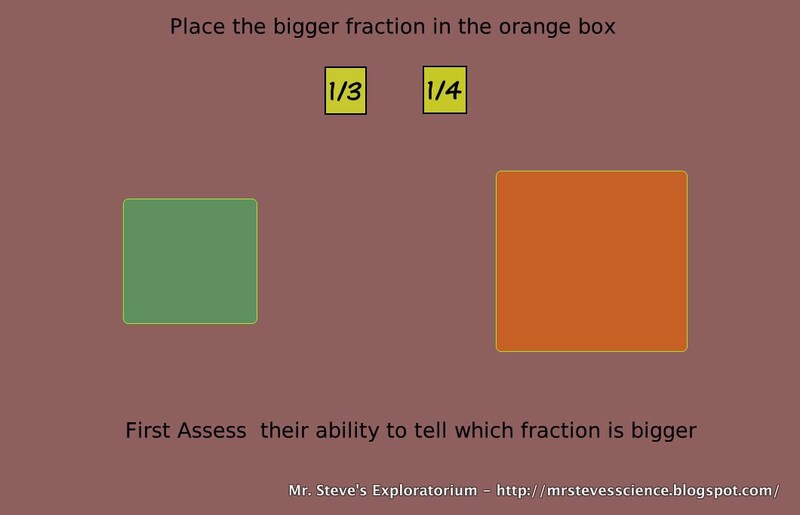 One possible way to do this would be to ask them to place the the larger fractions in the bigger box and then run a similar test asking them to choose the correct symbol (> or <). You could also use "place them in a bigger box" as a starting task, then introduce the symbolism after, by asking them to choose the correct symbol, while keeping the larger and smaller boxes on the screen to give an additional visual clue as to the meanings of the symbols. FYI, I am not a doctor nor have a I ever played one on TV, but I think this may have some merit and seems easily testable. We would need to connect to experts in the fields to come up with good tests. In any case while far from perfect these could act as early indicators of possible issues. 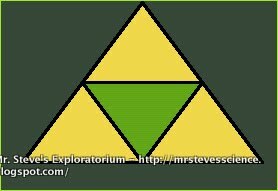 Day 2, here is a fraction embedded in a riddle. 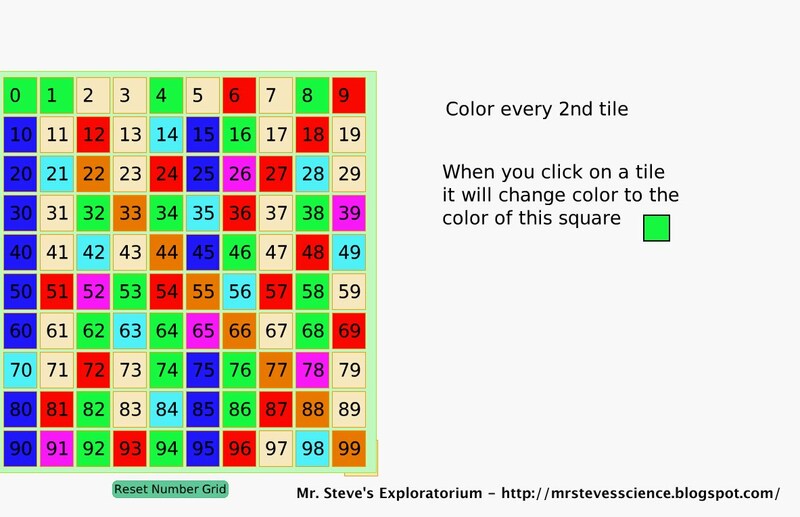 Below is a link to an Etoys project which has hints as to how to solve it and lets you "play with" the fraction to try and discover the answer yourself. Try it, you never know what you might learn. Rather than a complete curriculum/textbook/OER for each grade (which should be an end goal) I would like to tackle things one bite at a time, with the first bite being Fractions. Why? Its a subject kids struggle with and therefore teachers and parents worry/care about. I do not want to re-invent the wheel here. Lets use good existing ideas and it is possible to teach first graders to solve problems like: (1/2 x () + (2/5 X 10) -(1/2 x 8) = ? (see Lore Rasmussen et al - Lab Sheet Annotations and Mathematics for the Primary Teacher, pg 140). If we can provide good materials to help kids understand fractions and get evidence that they work we will create a good entrance path for the rest of our materials. 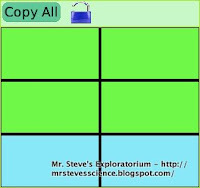 Create/Identify a lesson, manipulative, blog pos or video each day. Okay ambitious, but do-able (for short sprints). It helps me keep the perfect from being the enemy of the good and gets me focused and moving. I look at it as the equivalent of some writers practice of writing something every day. Identify common mis-conceptions learners have about fractions and using them and identify ways of addressing these mis-conceptions.